Last week, federal officials from several spy agencies engaged in a full court press in Washington, spinning facts before media outlets, flooding Capitol Hill with lobbyists, and bringing lawmakers to the National Security Agency's (NSA) Ft. Meade headquarters to feed them selective information about their unconstitutional mass surveillance activities. Predictably omitted from these conversations are the many Americans from across the political spectrum who have raised concerns, ranging from constitutional and commercial to security-related, that have rightfully dogged federal mass surveillance efforts since their revelations—not in official proceedings, but rather by whistleblowers—in 2005 and 2013. Rather than embrace bipartisan calls for long overdue and constitutionally necessary limits, executive officials have instead chosen to shoot the proverbial messengers, vilifying whistleblowers and building new programs to prevent others from ever coming forward. Last week’s meetings included claims that particular examples of mass surveillance proved useful, ignoring its repeated failures. While the appearance of security may be comforting to some, NSA veterans have identified discarded programs that, relative to their replacements, reportedly did a better job of protecting national security while also protecting the privacy of Americans by encrypting data collected within the U.S. and requiring a warrant for investigators to access it. Meanwhile, too many members of Congress from each of the major parties remain excessively deferential to the intelligence community, despite Congress mustering a bipartisan majority to enact preliminary reforms in 2013 and the House approving even more sweeping changes in their wake. Even though the scheduled expiration of a key statute—Section 702 of the Foreign Intelligence Surveillance Act (FISA)—looms mere months away, congressional committees have yet to hold hearings to get beyond executive talking points and begin actively investigating the underlying facts. Originally enacted in the 1970s to restrain domestic surveillance, the history of the FISA statute is revealing in itself. Its genesis was a wide-ranging congressional investigation that dramatically uncovered a series of previously secret programs that, instead of promoting security, were carefully tailored to undermine constitutionally protected dissent. Alarmed at wide-ranging executive abuses behind a wall of secrecy, Congress enacted reforms that included the creation of a secret court, and insisted on regulations by the Department of Justice to further curtail the FBI's 40-year assault on democracy in the form of COINTELPRO: its infamous Counterintelligence Programs. Since then, the Justice Department regulations have been watered down periodically, while FISA was ultimately flipped on its head. 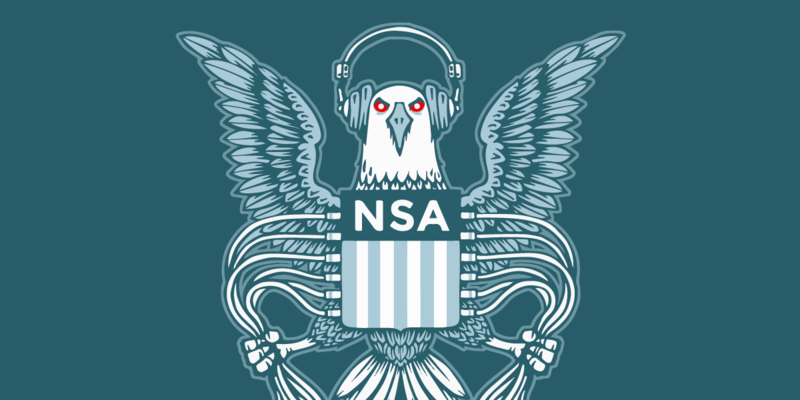 Most recently, FISA was amended in 2009 to legalize a series of mass surveillance programs begun under the Bush administration in direct violation of the governing statue at the time, as well as constitutional limits. The continuation of these programs under the Obama administration granted them the appearance of bipartisan legitimacy despite their clear and continuing unconstitutionality. In the past, concerns about mass surveillance have extended across the political spectrum and around the world. Under the Trump administration, those concerns have grown increasingly pressing, given the president's seeming disregard for constitutional limits on executive power, and potential willingness to politicize surveillance to serve his own political ends. Given those concerns, and the crucial congressional role of checking and balancing the federal executive branch, Congress should aggressively exercise its oversight responsibilities. But there are structural barriers to doing so. Many members of Congress on key congressional committees, for instance, lack qualified staff wielding adequate security clearance to rebut talking points peddled by self-serving executive officials. Beyond structural impediments, many members of Congress have been willing to settle for mere assurances from executive officials, rather than insist upon reviewing evidence proving that mass surveillance effectively protects security, and that the government’s systems adequately protect the rights of innocent Americans. Representatives poised to do more include Democrats and Republicans whose constituents may enjoy opportunities to politically force their hands. Only by investigating mass surveillance operations can Congress uncover the underlying facts. Such an investigation would be crucial in helping establish the need for long overdue constitutional limits. In particular, because agencies including the NSA and FBI have relied on legal loopholes and secret interpretations for which they have grown notorious, one crucial requirement is for backdoor searches of Americans to be first justified by a judicial warrant. While that process does not impose a significant operational burden on agencies, it does prevent the kinds of documented abuses that agency employees and contractors have already committed, which include stalking former lovers using the government's powerful spying tools. Congress should also ensure that intelligence information is used exclusively to protect national security, instead of polluting the criminal legal system with raw intelligence that inherently fails to meet the standards required for evidence to be admitted in court. Congress should not allow powerful military-grade surveillance programs to be used for purposes like routine criminal law enforcement or tracking down undocumented immigrants. Congressional oversight of the intelligence agencies should also address issues beyond data collection. In the past, intelligence agencies have undermined attempts by Americans to ensure their own privacy, including by intercepting router shipments and planting covert firmware. Accordingly, Congress must adopt measures to protect encryption and encryption standards from erosion by national security agencies. A restriction along these lines would also serve business interests, which have vocally decried losses amounting to billions of dollars driven by clients making the rational decision to buy encryption devices from other sources. Finally, Congress must restore the opportunity for a robust public debate about these issues. That requires reforming the state secrets privilege and fixing the broken classification system described as “dysfunctional” by the former official who administered it. All too often, overclassification keeps policymakers and the public in the dark, and enables a bipartisan war on whistleblowers from whom congressional committees have learned the truth. Regardless of what Congress does this fall, advocates will continue to challenge the constitutionality of mass surveillance in the courts, where we have sought for over a decade to invoke the rule of law to restore limits on executive authority. Congress is currently considering surveillance policy, and we urge Congress to legislate limits to safeguard constitutional rights. If enough policymakers are pressed by informed and alarmed constituents, Congress will hopefully finish the job it already started. This article was originally published by Truthout, and is reprinted here with permission.